Hello Everyone! 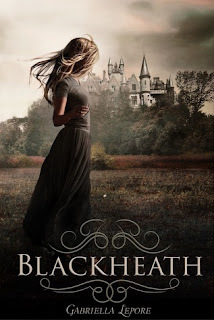 Today's special post will be for Blackheath by Gabriella Lepore. It's a review tour hosted by Xpresso Book Tours. Make sure to check out the giveaway at the bottom of this post! Blackheath by Gabriella Lepore was such a stunning and enticing read from start to finish. I mean honestly what's not to love about witches, magic, AND love. I would give this book a 10 out of 10 rating, due to the fact that I loved every aspect that was shown throughout this novel. Where to start, hmmm, how about with the absolutely brilliant story line. From pages 1 all the way through to page 284 my interest was peaked. Everything about this story was portrayed and executed brilliantly throughout the book. I was hooked on Blackheath the second after I finished chapter 1. The story was not difficult to understand and it flowed quite nicely. When finding out information about the family and witche's magic, never once did I feel as though I was being over informed. The information was all super clear and easy to pick up on. Another thing that I particularly enjoyed about this novel was the way the settings were described. I wanted to live and be within the Tomlins house. Everything about it was magical, dark, and defining. It would be one of those houses on your street that everyone is sort of scared of, so you quickly pass it as you walk. I also really enjoyed the scenes at the carnival as well. It felt like I was there experiencing everything firsthand. Applause to Lepore for such elegant use of descriptive words that really helped paint a clear picture in the readers minds, especially in mine. Every single character had a special quirk to them, not to mention that they were all super easy to connect with and LOTS of fun to read about. Anyway, back to the topic of Joel. Joel was a masterpiece. His internal and external struggles were as real as any normal witch could have, though the things he had to endure while growing up was definitely rough. I loved seeing his relationship with Maggie grow and develop into what it was when I reached the end of the novel. He was charming, brilliant, and gave off this cold attitude which in turn made him completely irresistible. From the Tomlins family, I also really enjoyed Ainsley, Joel's second youngest brother. He was only 13, but he definitely had character to him. Ainsley was a well constructed character, who I also really enjoyed reading about. Not to mention his humor and sarcasm was an added bonus. I also really loved Old Aunt Ruby, she was one of my favourite aunts. She treated all the characters with such an unique kindness. Her words were definitely full of wisdom and love. The last character that I must mention is Maggie. From the start she has such strength that makes her unique from the others. She was a wonderful character to connect with, and I thoroughly enjoyed reading what she had to say. I also loved the way she treated Joel. She was definitely a mastermind in most cases, and I can't wait to see more of her in book two. Overall, this book was yet another brilliant paranormal Oftomes book. Everything about it was captivating and pulling. I am eagerly counting down the days until I can READ book 2 in this series. I highly recommend this book to all, and hopefully once you do get the chance to read... you'll enjoy it as much as I did. especially witches! She currently has six Young Adult books in print: Evanescent, The Blackheath Witches, How I Found You, Secrets In Phoenix, and The Witches of the Glass Castle books 1 & 2. I am very excited to add this book to my "Must Read" list. 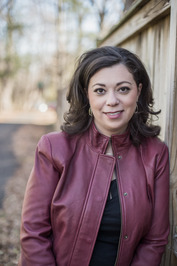 Gabriella Lepore is a new author for me and I am so happy to have come across this site! Thanks!